$51,000 price reduction!! 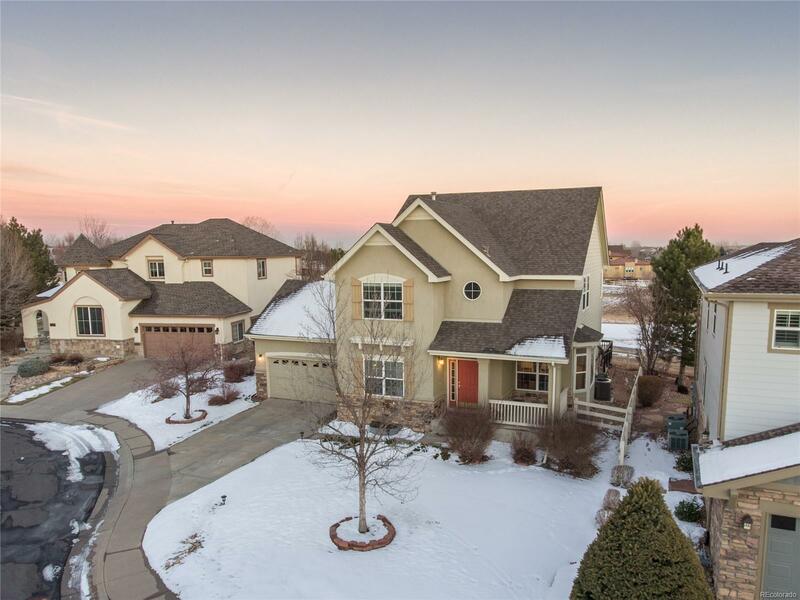 This 2 story with finished basement is located on the first and second tees of The Broadlands Golf Course. Sitting on a quiet out of the way cul-de-sac, this home boasts Pike's Peak mountain views through several windows. Plenty of custom built in shelving and cabinetry throughout with a butler pantry off the kitchen, newer appliances including double oven & fridge. Using the layout well, this home was built with a formal dining room, study, large kitchen island and a large living room with views onto the golf course on the main level with a large deck for entertaining. The full finished basement includes a 5th bedroom. Also has a new 50 gallon water heater & new roof. Carpet needs replaced. Home needs updating.